All about Sewage Limited (AAS) is a family business based in Glenroy and services the whole of Canterbury and beyond. AAS treats every site as its own and knows that to be successful, customers have to have the correct system for the site, the perfect installation and the correct servicing and after sales support. We are sewage & septic tank products and services experts. We manage waste water and building consents. Supply domestic and commercial waste water systems, carry out the installation and management of the project teams and servicing of systems after installation. Check out some of the systems and services we provide and get in touch if you think we can help. AAS is a proud supplier & installer of Eloy water products. This is a Belgium Company who has been manufacturing & distributing products worldwide for 50 years. EcoTrench is designed to receive treated wastewater and have special features that make it one of the most compact, reliable, safe and efficient systems available. Permaloo is a simple, yet very effective design, created to satisfy the exact requirements of councils, the Department of Conservation and other users such as holiday camps. AAS help with all wastewater needs. 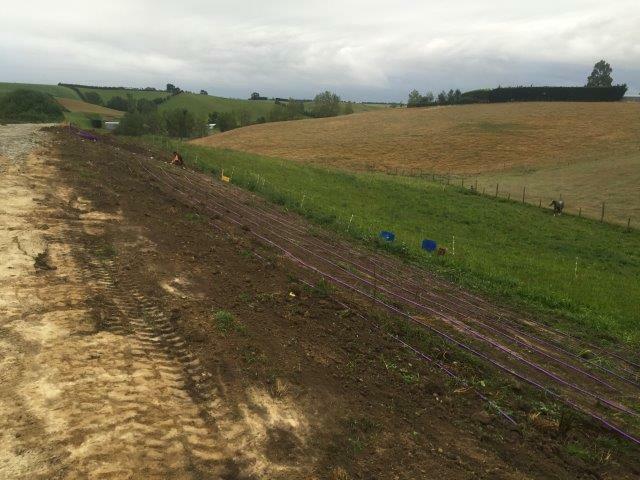 We design new wastewater systems providing the correct documentation required by Environment Canterbury or local council. AAS has a specialized unit for installing private & commercial driplines with years of experience in varying landscapes, sizes and complexities of installation. AAS also provide a consent service for your next building project. We provide all the paperwork required for your local council and submit and manage on your behalf. Eloy water supplies quality products suitable for a single household to medium-sized communities, integrating the latest technology for sustainable solutions. Eloywater treatment systems are now distributed to 34 countries through a network of subsidiaries, including one in New Zealand. AAS is part of this group of exclusive installers, trained in Belgium, to provide local support. Permaloo is a simple, yet very effective design, created to satisfy the exact requirements of councils, the Department of Conservation and other users such as holiday camp owners. Robust, easily maintained and resistant to vandalism they also fit seamlessly into many urban developments. All units are ready to be connected to water/sewage or septic tank in a dry vault situation. The use of drippers to apply treated wastewater to the land application area is an efficient method of wastewater disposal. A correctly maintained Aerated Wastewater Treatment System (AWTS) can also provide water for your garden. However, dripper systems that are not well designed, correctly installed and appropriately maintained, can pose a significant public health risk and environmental hazard. AAS are specialist and experienced dripline installation experts. We will install the correct system for the your site, get it right first time and provide servicing and after sales support should you need it. Eco Trench is designed to receive treated wastewater with special features that make it one of the most compact, reliable, safe and efficient system available. They are ideal for small sections. They are also a very good option on properties with high groundwater. They are planted as an attractive landscape feature.